Valrhona Opalys is white chocolate with a pure, light color and velvety texture that has a new flavor profile: its delicately sweet taste reveals harmonious aromas of fresh milk and natural vanilla. Valrhona's Opalys has a more viscous, "whiter" formulation that's great for molding and enrobing. 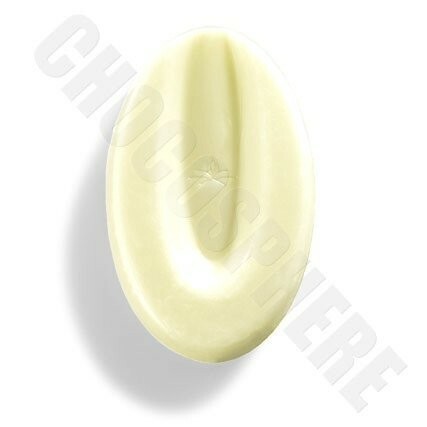 It is excellent for enrobing dark truffle centers because it is more opaque than typical white chocolate. 33% cocoa, 32% sugar, 44% fat content, 32% milk. 1Kg/2.2 lb. bag, repackaged by Chocosphere. “Collection Etienne” 70% Baking Bar 6oz.